Already have determined the decor and centerpieces of Mickey Mouse, because now you have to think about the cake or birthday cake. So your choice is right, first of all you must take into account the number of guests, you have to define it according to the size, another important aspect is to choose a cake which does not clash with the decor birthday. 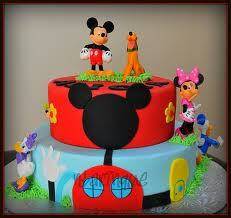 Here are some ideas that you will surely enjoy a lot. 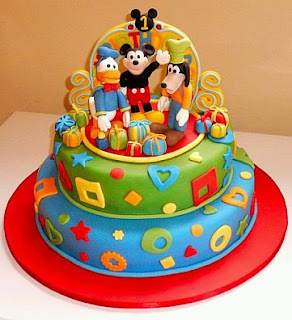 Two-floor cake decorated with Mickey Mouse's house, around the cake you can see some of his friends and on top the beloved mouse and his dog Pluto. 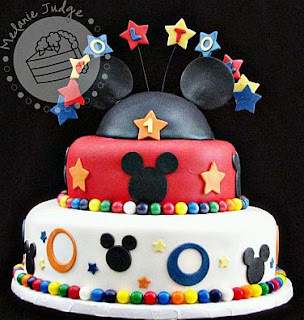 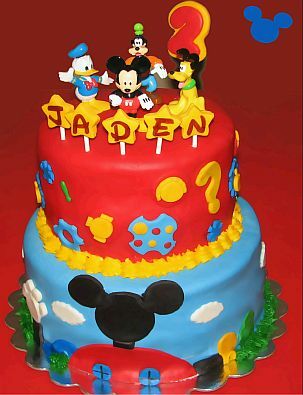 Pretty and colorful double-floor cake with Mickey Mouse and his friends at the top. 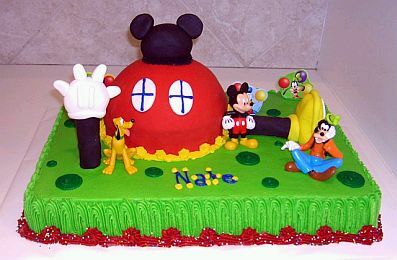 Cake decorated two-floor house with Mickey Mouse and his friends and stuffed him in the top. If you prefer something more original and more formal, this two-floor asymmetrical cake with mouse ears on top and decorated with circles and stars, is perfect for you. 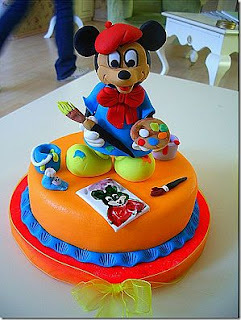 If you prefer to Mickey Mouse in his role as painter, this cake is actually an art work. 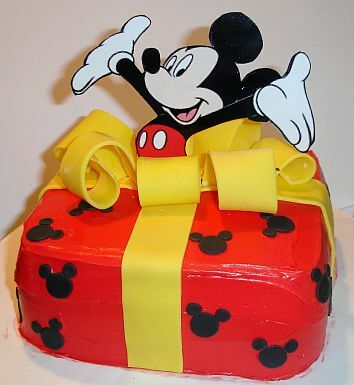 Original gift-shaped cake with ribbon included, which leaves an image of Mickey Mouse. 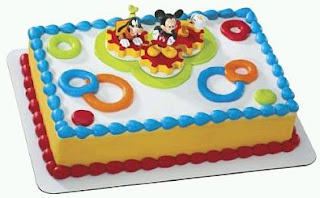 Here are two models of a flat cake, decorated with the house of Mickey Mouse and the beloved mouse and his friends. 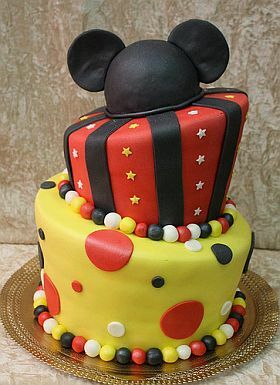 Two-floor cake decorated with classic Mickey Mouse ears. 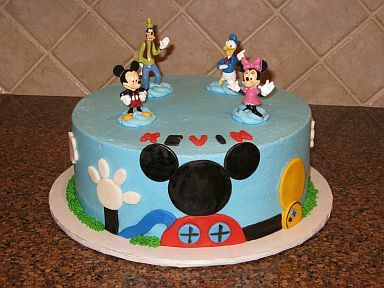 Finally, this proposal is very lively and colorful, in between Mickey Mouse and his friends. I hope these ideas have been helpful.